This is freaking delicious! I recently went to a blogger event and they had a salad similar and I knew I wanted to create it in my new Blendtec. Those blenders are heaven and you can win your very own. Just scroll to the bottom of the page for the entry form. I teamed up with Britni from Play.Party.Pin and Dee from Cupcakes and Crowbars to offer this giveaway and to offer some delish healthy recipes. All my life I have struggled with my weight and I decided that this year I am going to run the Chicago Half Marathon. It’s a huge undertaking considering that I have never ran electively in all my life! 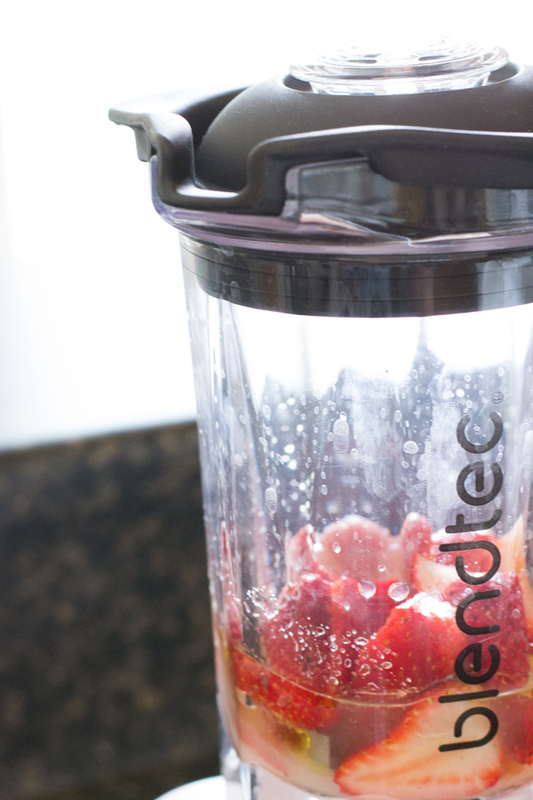 I knew I had to start with my eating habits and my Blendtec has helped achieve those goals. I knew I needed to start with a crunch element and this recipe for Candied Walnuts was the best bet. You can also substitute the sugar for Truvia and it’ll give you essentially the same taste, just use 1/2 of the recommended amount. It was then time to add everything into the Blendtec for the Strawberry Vinaigrette. With previous blenders, you pretty much were stuck with chunks being left in my dressing and not always the oil and vinegar emulsified. 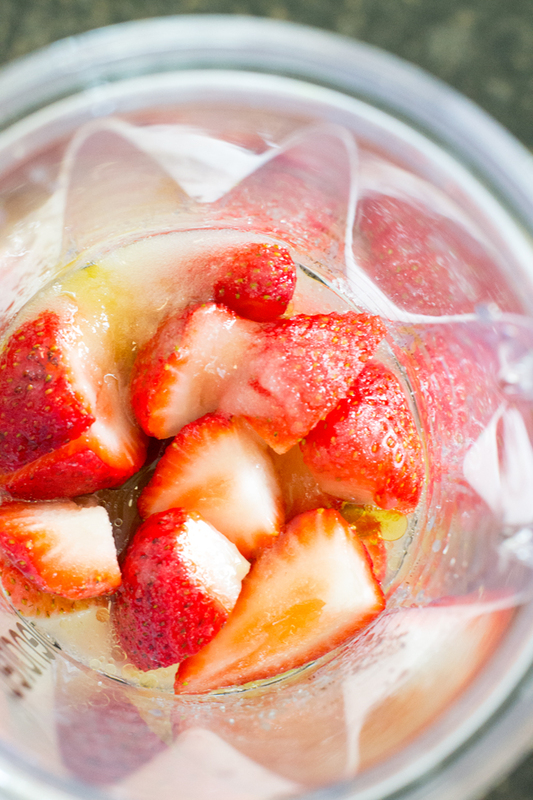 I started with cutting my strawberries in half, added the sugar, vinegar, olive oil and the lemon juice and I just selected the smoothie button. It did all the work for me. If it needed to increase intensity, it was automatic. I took only 40 seconds for me to have the perfect, smooth dressing. Now that the dressing is done and easy peasy, I started to assemble my salad. 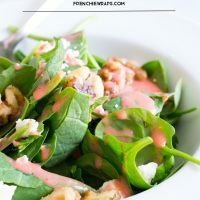 Because this has no wet element, you can easily make this salad ahead of time and then just add the dressing when it is time to serve or serve the dressing on the side if you know it’ll be sitting out for a while. I grabbed a package of spinach from the store and some feta cheese, I added the candied walnuts on top and then spooned the vinaigrette over the top. For sure this is going to be a go to salad and the best things about salad is you can add whatever you want and it will always (almost) taste awesome. 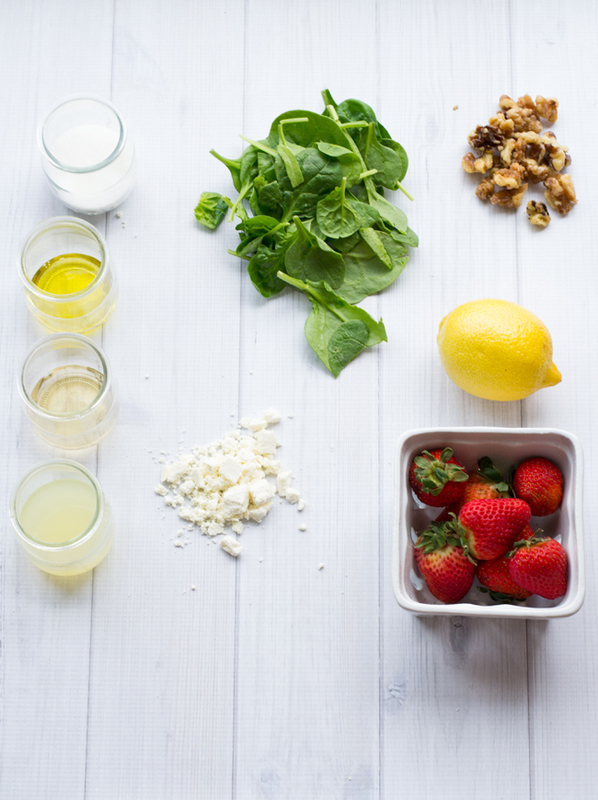 For the dressing, combine all ingredients and blend using your Blendtec blender. Until all ingredients are emulsified. 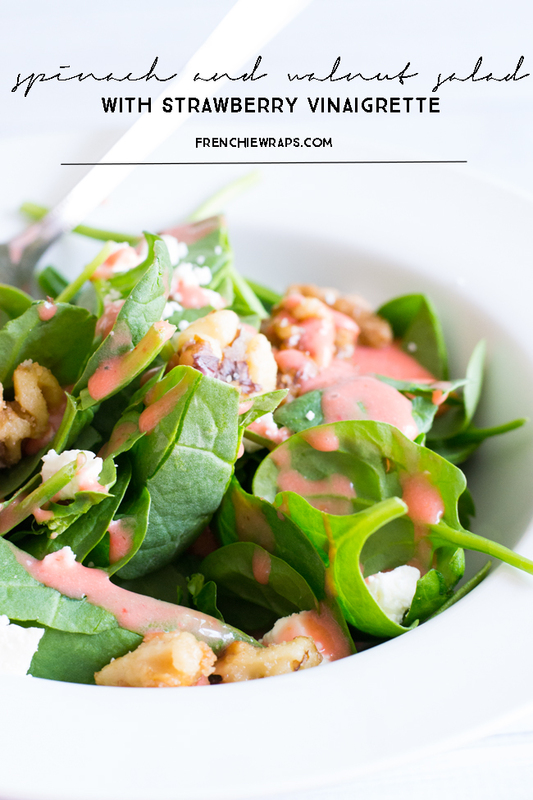 For the Salad, combine the spinach, feta cheese and candied walnuts and toss. Add the desired amount of dressing. Don’t forget to enter the giveaway to win one of your very own Blendtec Blenders Designer 625 in your choice of color. It also will come with the Twister Jar which is the jar I used for this vinaigrette. The Twister Jar gives you the ability to make your own nut butters and hummus recipes, great for thicker items. Can’t wait to make this for my next gathering with friends. They are going to love it!! 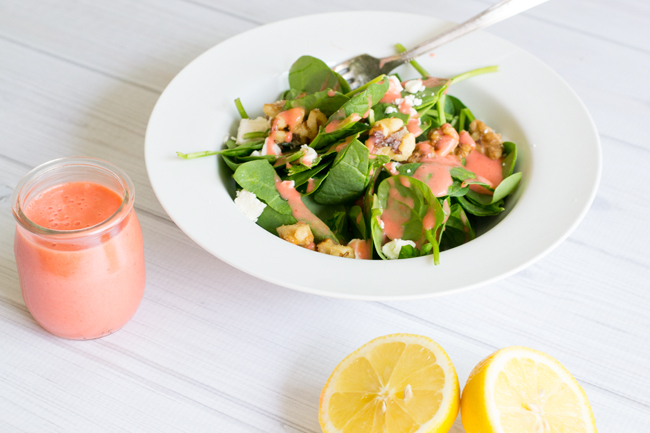 Looks amazing, must try this dressing! Mmmm this looks and sounds amazing! Can not wait to try it!! I love spinach salads. This one looks extra tasty!